CarveOut is a residential storage closet designed for the display of a small object art collection. 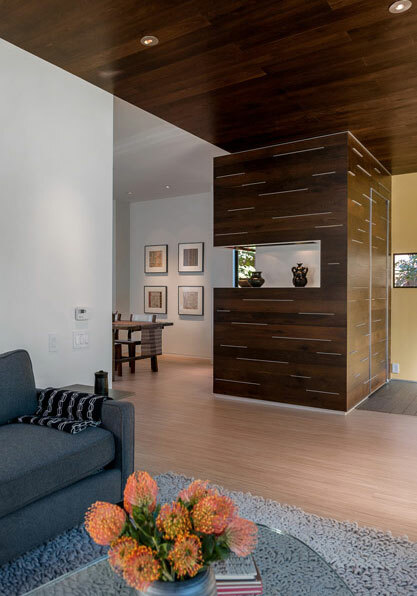 A wall of smoked oak, innterpersed with annodized aluminum strips, gives the unit a strong visual presence. The display area is "carved out" of wall area by inserting a display area. Framed in annodized aluminum sheeting, the art display area is lighted by adjustable low voltage track lighting in a slot above. On the entry hall side, a flush detailed door gives access to the generous interior entry closet.